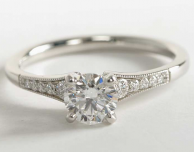 The upper shank on this delicate ring creates an intricate wave pattern, weaving its way up around the pave diamonds that have been carefully placed on this setting. 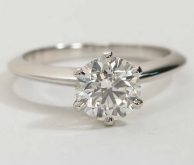 This is also a versatile engagement ring that can be set with any of the following diamond shapes: Round, Princess, Asscher, Cushion, Heart, Pear, Emerald, Marquise, Oval, and Radiant. 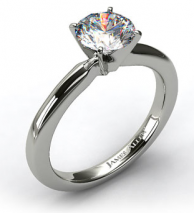 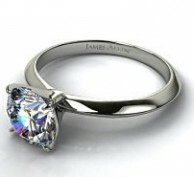 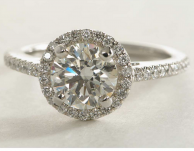 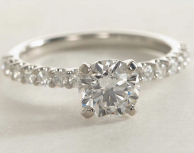 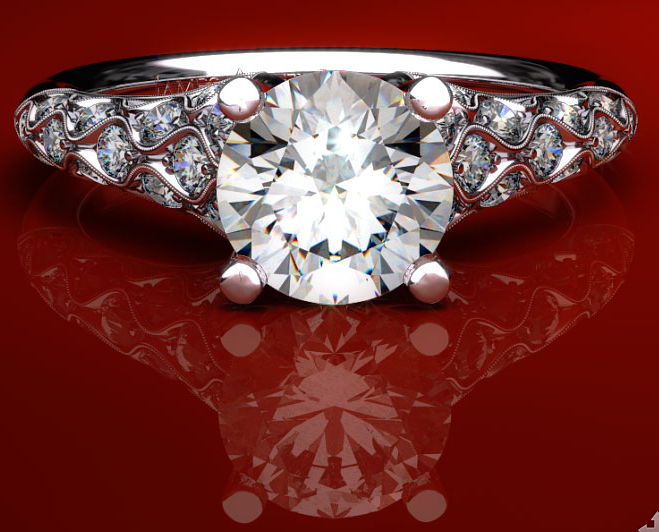 This setting can also accommodate a diamond anywhere from .75 carats to 1.25 carats.